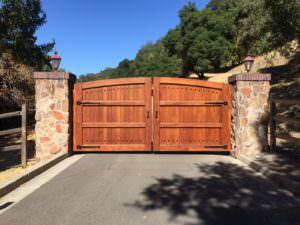 Orinda, CA Electric Gate Repair Company & Iron Gates. Gate Masters in Orinda California, is a family owned and operated residential gate repair and commercial gate repair company that provides driveway gates, electric gate repair, gate openers, iron driveway gates, wrought iron gates, and access controls to the Bay Area community in San Francisco California, and surrounding cities.Gate Masters understands that our customers have different gate repair needs, and we work hard to match those needs with the appropriate driveway gate equipment, at a price that meets the customer’s budget. We’re dedicated to providing quality iron gates, gate repair, and installation of automatic driveway gates, as well as gate openers and access control systems to our customers. Why did my driveway gate stop working? First of all, your gate opener needs power to run. Make sure that the gate's electrical breaker is turned on. If you don't have a dedicated breaker for the gate or you don't know where it is, look for signs that your gate opener has power. You should hear a clicking noise coming from the gate opener when you press your remote.If you established that the gate operator has power, the next step is to make sure nothing is physically interfering with gate's movement...it could be as simple as a stone on the gate track, a plastic bag caught in the gears, etc. If this is the case, your motor might need to be reset. It's usually a minor repair, and sometimes just turning the power off and on does the trick.If these tips don't work, then we suggest that you call Gate Masters for further troubleshooting, or to set a time for one of our experience technicians to come and inspect exactly what kind of gate repair may be needed. When should I have my driveway gate serviced? The chain is very loose (if it is touching the ground then service has been due for a long time). When the driveway gate opens or closes, it is slamming against the post. The automatic gate is making a grinding or squeaking noise. The electric gate is moving slower then it used to. 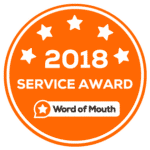 In any case, it's recommended that you have your driveway gate serviced at least once a year. The gate open only half way. Gate Masters services and repairs every gate opener on the market, ranging from sliding gate openers to remote gate openers to driveway gate openers.